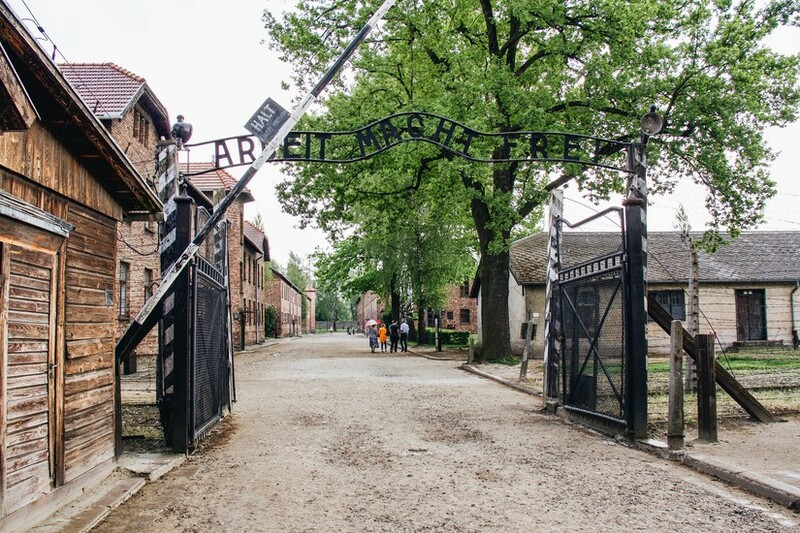 If you’ve decided to visit Auschwitz, you basically have three options: visit as part of a group organised by a Kraków tourist agency, visit independently and join a guided tour at the museum, or visit independently for free without a guide. Unfortunately, a new online reservation system now makes the latter two options much more difficult than in the past. All visits must now be booked in advance through the website visit.auschwitz.org. As a result, you may find there are no tickets available for the day you would like to visit because they have all been snatched up in bulk by tourist agencies. 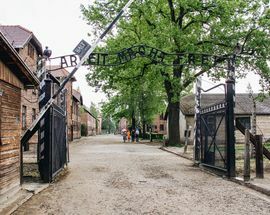 The unavailability of tickets online doesn’t mean you can’t visit Auschwitz when you want, but it does basically force you to sign up for a tour through an outside provider. This isn’t necessarily a bad thing, as it relieves you of the hassle of figuring out how to get there and back, but you will essentially be paying a surcharge for the service. For most people, however, it is worth it. 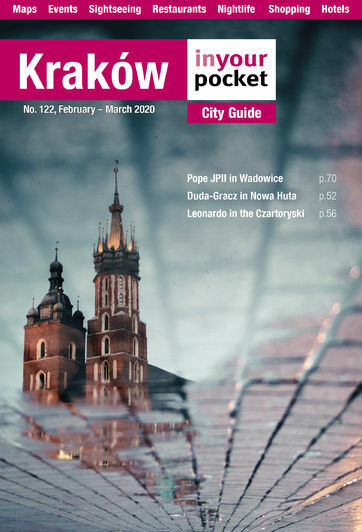 If you are determined to visit independently you need to know that during peak season (March - October) the museum makes it obligatory to buy a ticket and become part of a 3.5hr guided tour unless you get there before 10:00 (difficult to do from Kraków) or after 16:00 - during which times it is possible to visit for free on your own (last entrance to Auschwitz I is 1.5hrs before closing). Be that as it may, we strongly recommend the official guided tour, which is excellent, profound and professional; afterwards you'll find it hard to imagine getting as much out of your visit had you explored the grounds on your own. Tour departure times change often (check the schedule online), but tours in English depart most frequently, and there are also regularly scheduled tours in Polish, German, French, Italian, Russian and Spanish (also Czech and Slovak in July and August). To their credit, the museum makes a big effort to provide the tour in the native language of each guest, and tours in languages other than those just mentioned can be easily arranged if done in advance through the website. 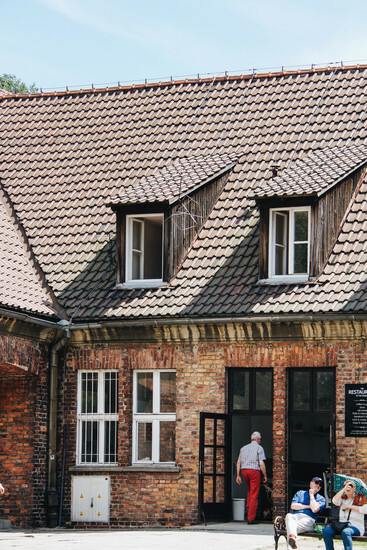 Arriving at the Auschwitz Museum on your own can be chaotic and confusing thanks to large crowds, numerous ticket windows with different designations, and excessive signage that is unclear or contradicts itself. If you are visiting independently, or in a small group, from March to October and do not yet have tickets (not recommended - get your tickets in advance to ensure you'll be able to visit), you must first visit the white Info box located in the parking lot in front of the museum to get tickets before then queuing inside for the cash desk marked ‘Individual Guests’ (from November to February proceed straight inside to the cash desk). Once you're through the queues, your experience typically begins with a harrowing 20-minute film of narrated footage captured by the Soviet Army when they arrived to liberate the camp in January 1945. The film (not recommended for children under 14, nor is the entire museum for that matter) is not guaranteed year-round however, in which case your guided tour of the camp will begin straightaway with a live guide speaking into a microphone which you hear through your headphones. 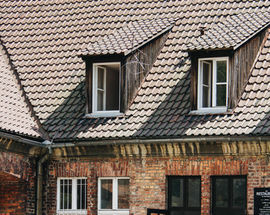 If you intend to explore Auschwitz without a guide, we recommend that you give yourself several hours to explore both camps, and that you pick up the official guidebook (10zł) whose map of the camp is crucial to avoid missing any of the key sites; these can be picked up at any of the numerous bookshops at both Auschwitz I and Auschwitz II - Birkenau. 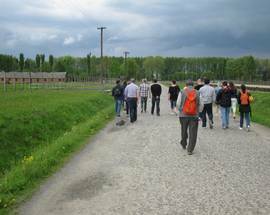 Visiting Auschwitz is a full day’s excursion so prepare accordingly (comfortable shoes). The guided tour of Auschwitz I takes around 2 hours, so make sure you’ve eaten breakfast. 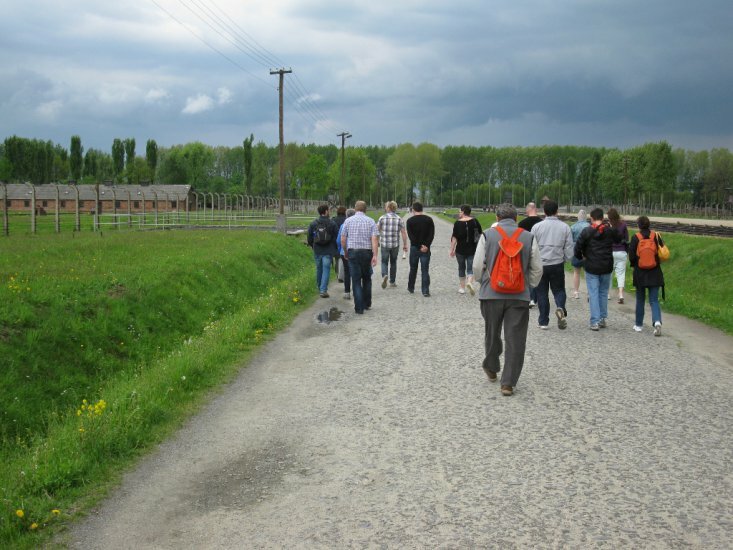 After completing the tour of the first camp, there is only a short break before the bus leaves for Auschwitz-Birkenau II; in order to stay with the same tour guide, you need to catch that bus, so it would be wise to pack some food for the day (though there is some limited food available at the museum). The tour of the second camp is shorter, lasting 1-1.5 hours. Buses regularly depart back to Auschwitz I, or you can walk or catch a cab to the train station 1.5km away. At Auschwitz I there are restrooms (have change available), a fast food bar and a restaurant; there are also restroom facilities at Auschwitz II-Birkenau. Note that only small bags are allowed into the camp; if your bag exceeds the very small dimensions of 30x20x10cm, you'll have to leave it somewhere; lockers (4zł) are provided for this purpose. Last entrance 1.5hrs before closing. 1 Jun 2019 - 31 Aug 2019 Open 07:30 - 19:00. 1 Sep 2019 - 30 Sep 2019 Open 07:30 - 18:00. 1 Oct 2019 - 31 Oct 2019 Open 07:30 - 17:00. 1 Nov 2019 - 30 Nov 2019 Open 07:30 - 15:00. 1 Dec 2019 - 31 Dec 2019 Open 07:30 - 14:00. Auschwitz is not recommended for those under 14 years old. An individual ticket for a foreign language guided tour of both camps, plus the film, costs 60/55zł. Official guidebook 5-15zł. Admission without a guide (when possible) to either camp is free, but the film costs 6/3zł. I''m trying to obtain an entry pass, but instead of credit card info it is asking for my tax I''d. ??!!! That can''t be right. HELP! Tomorrow &#045; January 27th, 2015 &#045; marks the 70th anniversary of the liberation of Auschwitz. Sadly, but inevitably, this is the last big anniversary with will include a large number of camp survivors, as the responsibility is now definitively left to us, the post&#045;war generations, not only to hear their stories, but to pass them on to our children. Not only as the archival evidence of past atrocity, but as the constant proof of the fragility of peace, and the burden of responsibility that falls on all humanity for its own protection. Energy is wasted on remembering the past if we fail to connect it in thought and action to the future.